I am pleased to be part of Garden Bloggers bloom day once again, a monthly event hosted by none other than Carol from May Dreams Garden . 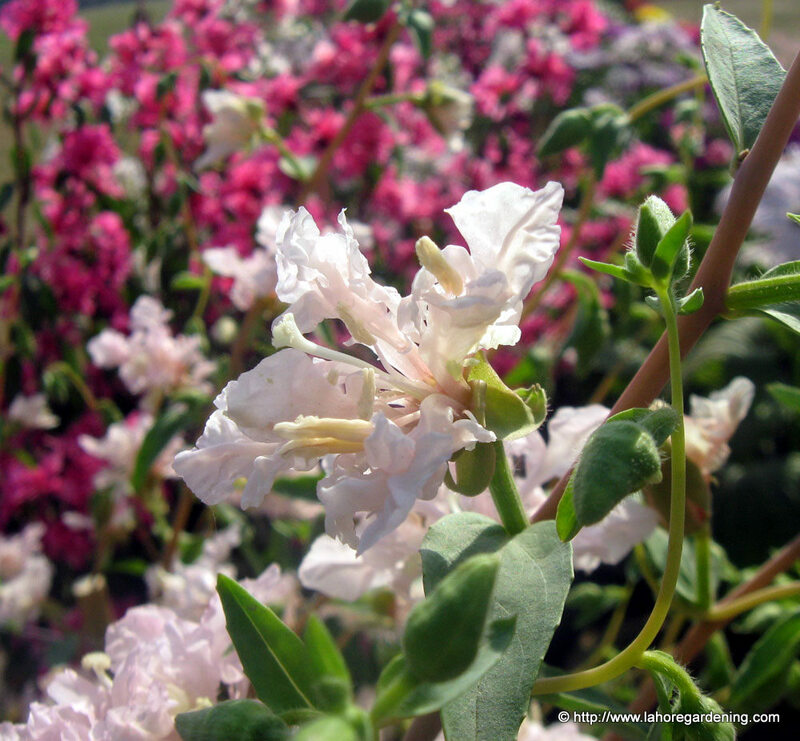 Gardeners from around the world showcase their gardens and show the lovely blooms. Here goes mine. And don’t forget to visit my previous post of free tomato seeds away. It will only last till last day of April. Now starting off with spring flowers of aquilegia, beaumontia, gardenia and thunbergia. 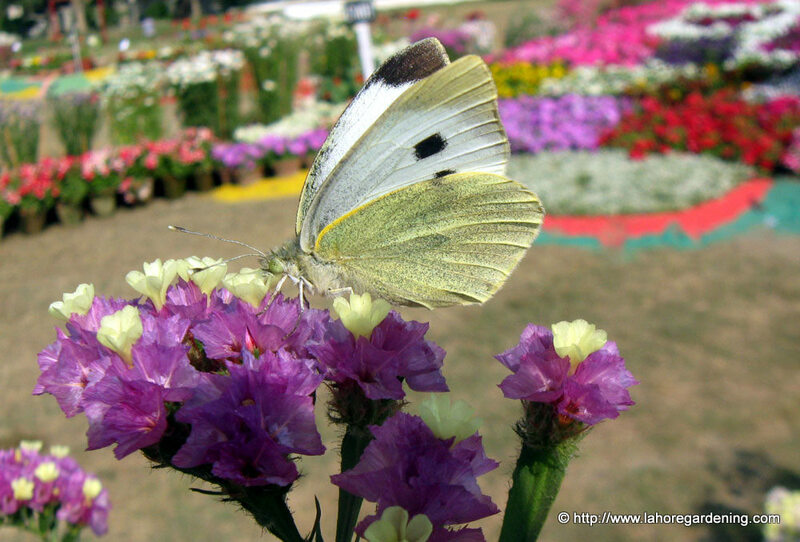 I caught this butterfly at these paper flowers on the flower exhibition in the Canntt lahore. There were two more butterflies which i captures there but these will be posted separate. My favorite aquilegia. Blooming happily in my soil bed. Not a perennial in my hot climate but blooms long enough. This is gardenia coronaria. Not much fragrant but the flowers are very pretty. 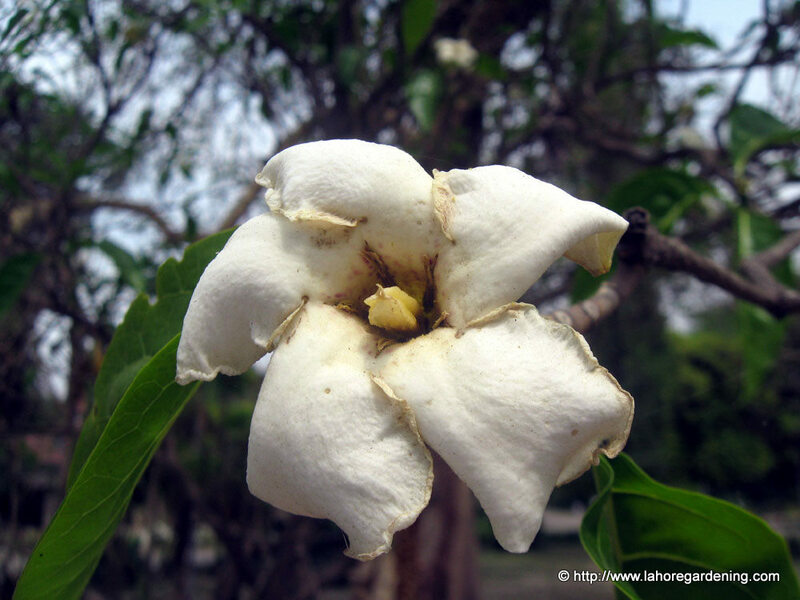 A relative of gardenia florida but it blooms in spring instead of late summer. 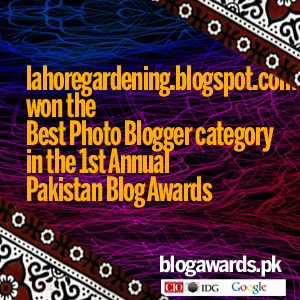 This one shot at the lawrence gardens lahore. And this one is the favorite creeper of gardeners of Islamabad. 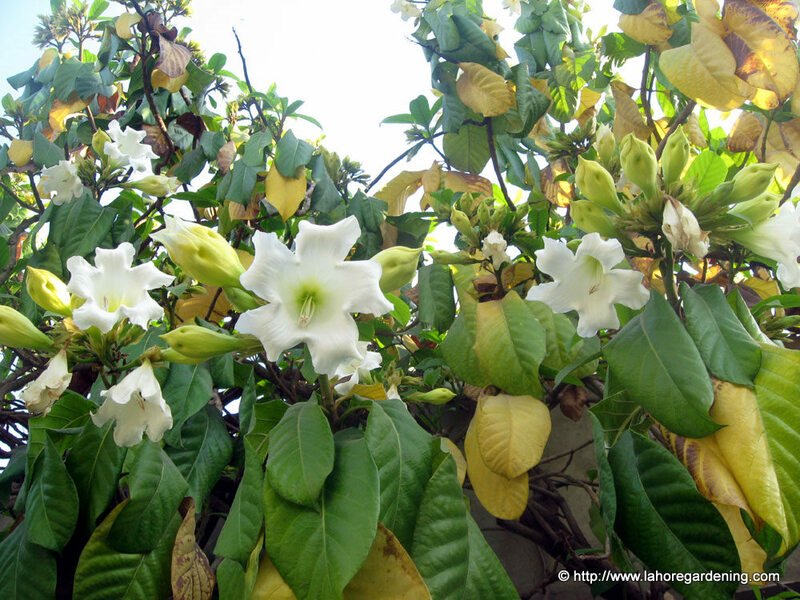 This is beaumontia grandiflora also called nepal trumpet vine. Not as fragrant flowers as famed for but still very pretty blooms. 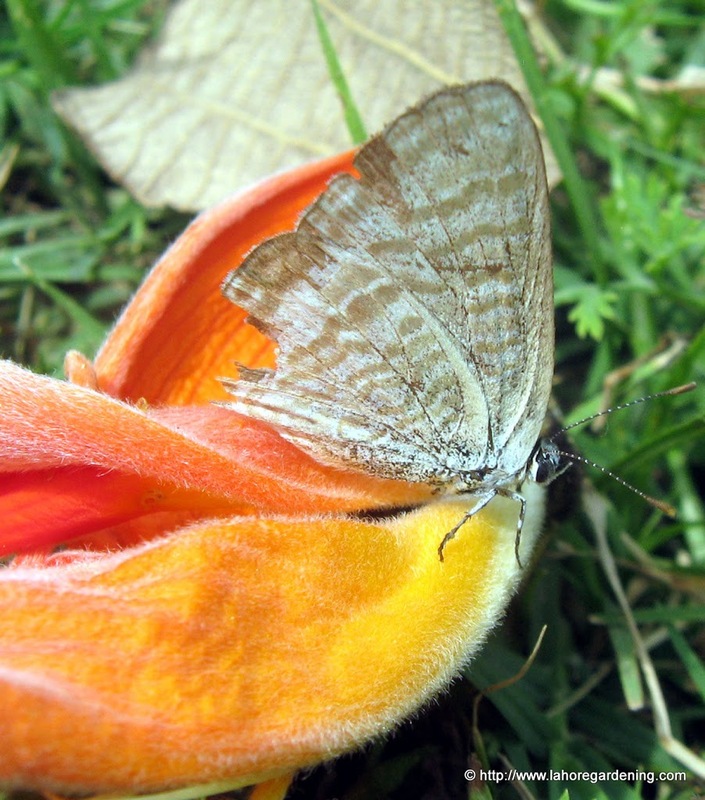 Gram blue butterfly captured on flower of erythrina suberosa. Will post pictures of Erythrina suberosa and cristagali in next post hopefully. This is an uncommon gardenia. Gardenia lucida. 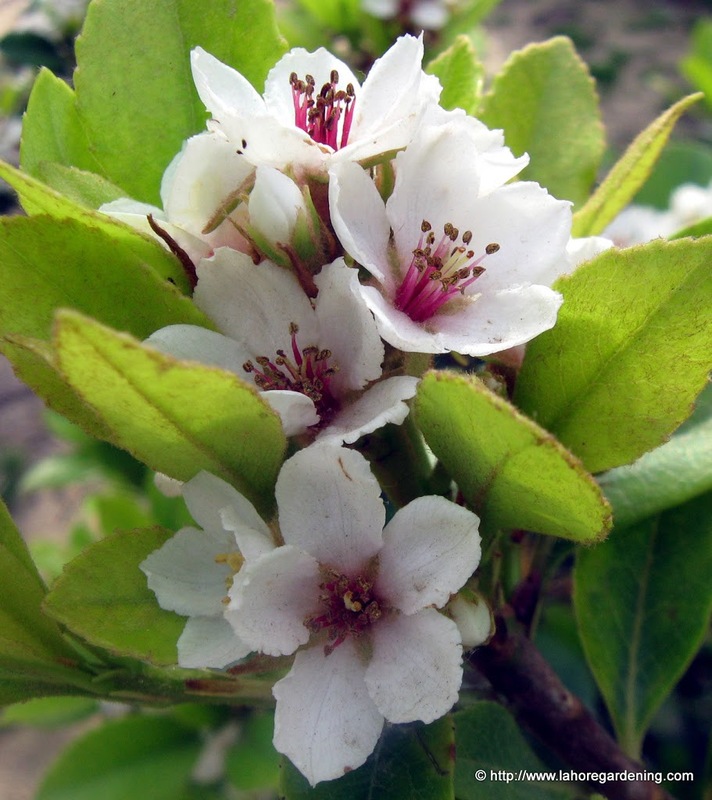 Very fragrant flowers, a small tree. Blooming happily in lawrence gardens lahore. A plant must have. You all will be familiar with thunbergia alta and perhaps thunbergia grandiflora (bengal clock vine) but not this one. 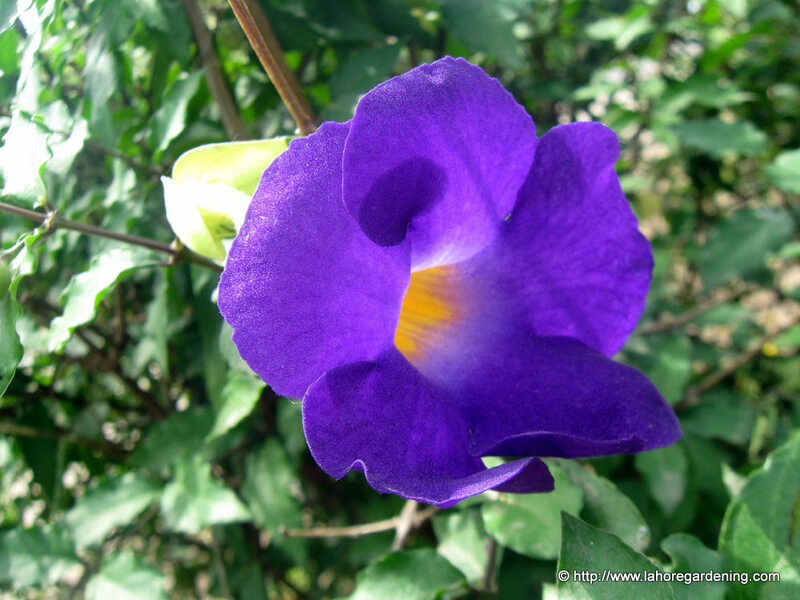 This is thunbergia erecta. Dark blue flowers. Blooms almost whole summer once established. And last but not least, this flower also shot at Flower exhibition held at polo ground lahore canntt. Beautiful flowers, love the lst butterfly photo! 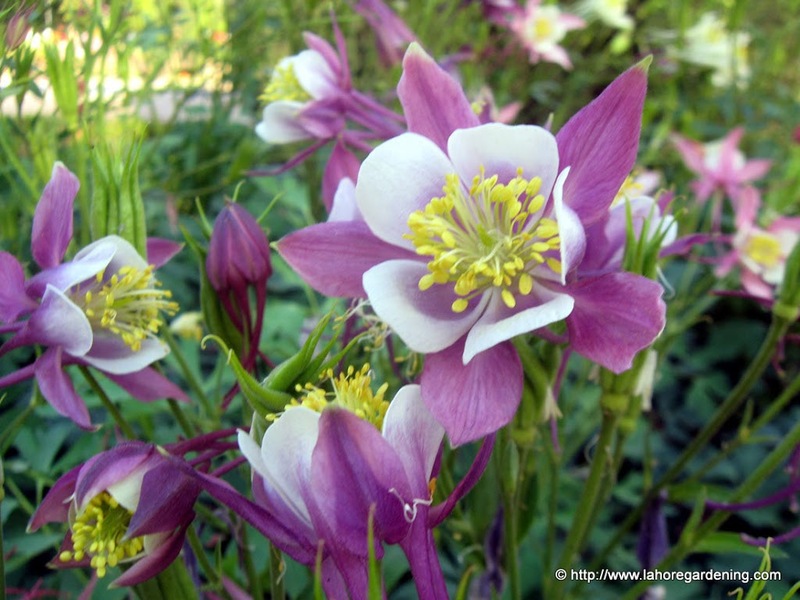 I love your aquilegia – very very pretty. I bought one two weeks ago but it was not in flower so I have no idea what colour it is yet. Hope it’s as beautiful as yours! The thunbergia erect looks fantastic too! Eye popping macros. Love the butterflies and all the color. Great GBBD selection. Well, we grow columbine in common, and I did have the blue thunbergia a couple of years ago but it never grew much for me. I suspected it wasnt quite warm enough for it in my garden though the standard thunbergia does very well here. Neat to have such floral connections across the miles. All your flowers are gorgeous, and the butterflies are exquisite as well. But I am most entranced by your aquilegia–I am hoping for some blooms on mine this year. Lovely photos! The first 2 shots are the best. I can’t keep my eyes off them. Your photos are stunning and those flowers are gorgeous especially 2nd and 3rd photos..would love to have them in my garden! What beautiful colors in the Aquilegia. Your butterfly shots are gorgeous, and it’s nice to see those glorious tropical blooms. I especially love the thunbergia erecta. I hope someone one day invents a way to transmit fragrance over the internet. I’m so envious of your fragrant tropical flowers. And I’ll definitely check back for more butterfly photos! Thanks for stopping by! Gorgeous blooms! A belated happy Garden Blogger’s Bloom Day! Wow!! So many wonderful flowers! I think my favourite in this post is that last thunbergia – the way the sun shines through the petals and lights them up!!! But, I also love the second butterfly – the one with the damaged wing – so many textures to admire!!! And I have never seen a columbine in that lilac colour!! !